It is aimed at those who generally do not shop in our town. 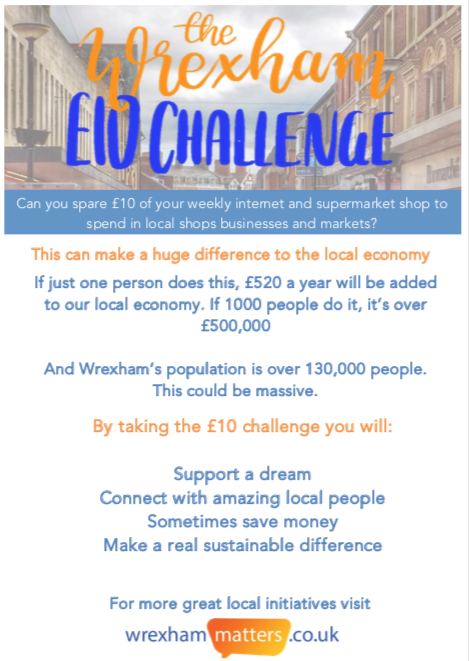 It encourages people to spend a minimum of £10 of their weekly internet or supermarket spend in local shops and our markets. Spending local can make a huge difference. When you spend local you are supporting a dream. Watch the short video for more information.